When organizing a DevCon camp, a workshop on a specific technology or an IT-related skill, most of the time as organizers or volunteers we have plenty of time to kill. Usually, we just hang out near the workshop area and do things like watching movies, share stories to the max, or play games. 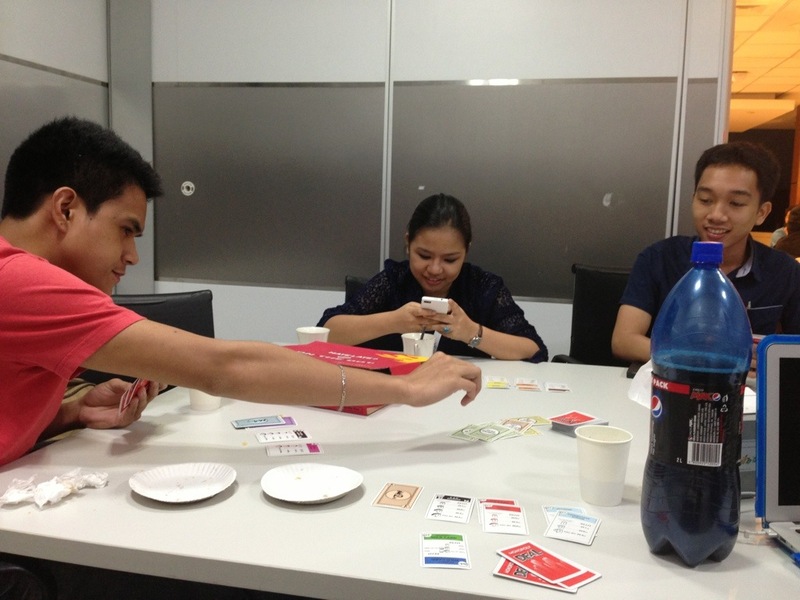 Just last week, I bought one set of Monopoly Deal cards and introduced it to my team during the Project Management Camp: Scrum Methodology. We had so much that even after our next event on that evening at a karaoke, some of us were still playing! Then on our next event a week after, during the Rails Camp Installation Meetup, I made sure to bring the cards. So while the participants and coaches were busy installing programs, the rest were playing Monopoly Deal!